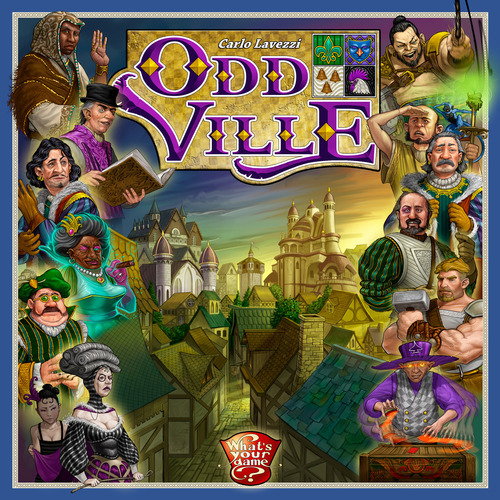 From reading the rules, Oddville looks like an interesting mix of using cards to gain resources and tile-laying to build a city. Now that may sound like a lot of other games but the game mechanics of Oddville look inventive and slick. On your turn, you play 1 card from your hand or build 1 building. 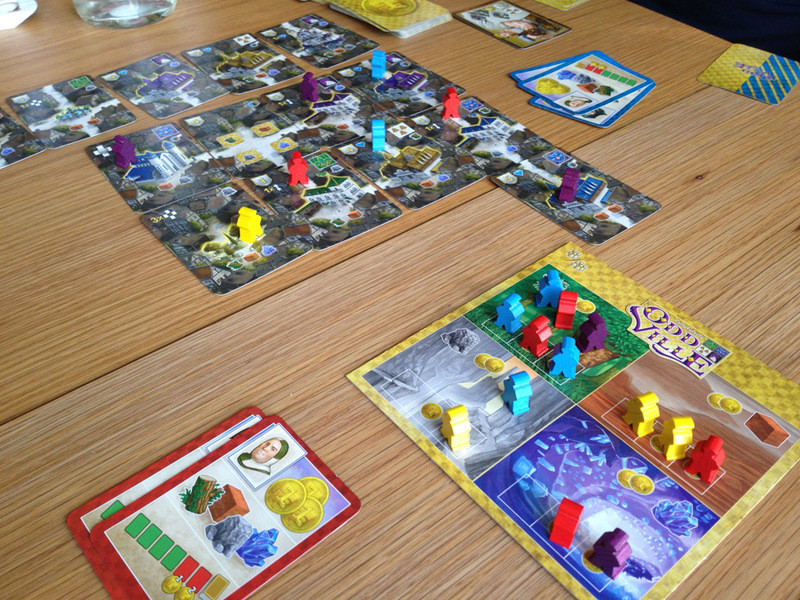 When a player plays a card, they can do 1 of the 3 things on the card – gain the cash shown, gain 1 of the resources shown, or gain 1 building from the 6 building cards on display (the card affects the price). I always like games where cards can be used for multiple purposes as it usually creates some interesting decision-making on how to combine the cards best and, hopefully, can be combined differently to give you alternate options if you need to change strategy. 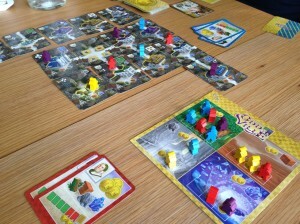 When a player chooses to gain one of the resources on their played card, they place one of their workers on one of the market prices for that resource which are limited in number – this determines how much the resource costs plus the worker shows the player has that resource until they spend it to build a building. This should make for interesting competition over the lowest prices.